Dinner at Seasons by Olivier E.
2007 Cloudy Bay Te Koko - the usual green apple and muscat grape notes, a little flinty. Still love it. 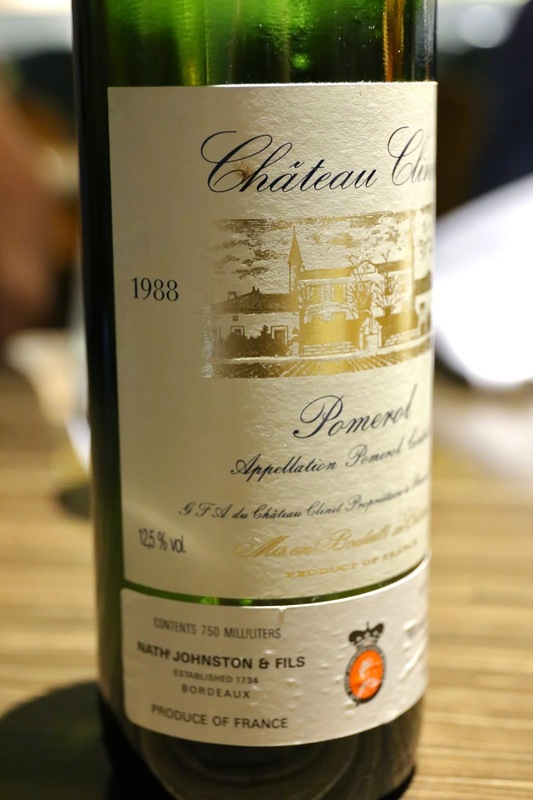 1988 Clinet - smoky, earthy, minty, with some fruit.